This article contains a podcast which takes a look at real estate 2017 in Mississauga and surroundings. There is a review of sales activity and prices in 2016, plus a look forward to what to expect in 2017. Update: the Toronto Real Estate Board reported 5,188 residential transactions through the MLS system in January 2017. This was an increase of 11.8% per cent compared to the 4,640 sales that were reported in January 2016. Condos showed a higher sales growth than low-rise homes. January 2017 was basically an extension of 2016. Sales increased on a year-over-year basis while new listings was down dramatically for most major home types. It’s pretty clear that owning a home continues to be a great investment and remains very important to many households in Canada. As we move forward through 2017, we expect the demand for ownership housing to remain strong, including demand from first-time buyers who, according to recent surveys, could account for more than half of transactions this year. Many of these potential buyers will have problems finding a home that meets their needs in a market with an extreme shortage of inventory for sale. Prices are at record highs. In the last twelve months, the average selling price of all housing types was up by 22.3 per cent to $770,745, with dramatic increases in the average prices for all major home types. Biggest problem for the industry – the number of active listings on the MLS system at the end of January was essentially half of what was reported as available at the same time last year. That statistic, on its own, tells us that there is a serious demand and supply imbalance in the Greater Toronto area: a problem that we expect will continue throughout in 2017. The end result will be strong price increases for all home types again this year. Questions: with prices up a staggering 22.3% per cent in 2016, can the bull market continue? How much higher can house prices go in Toronto, where the average price for a detached home is now over $1 million dollars? Will interest rates rise? What about world politics – will they affect the local Canadian market? What about condos? Just a few questions to consider. There is a complete transcript of the video which provides a pretty good summary of the changes. 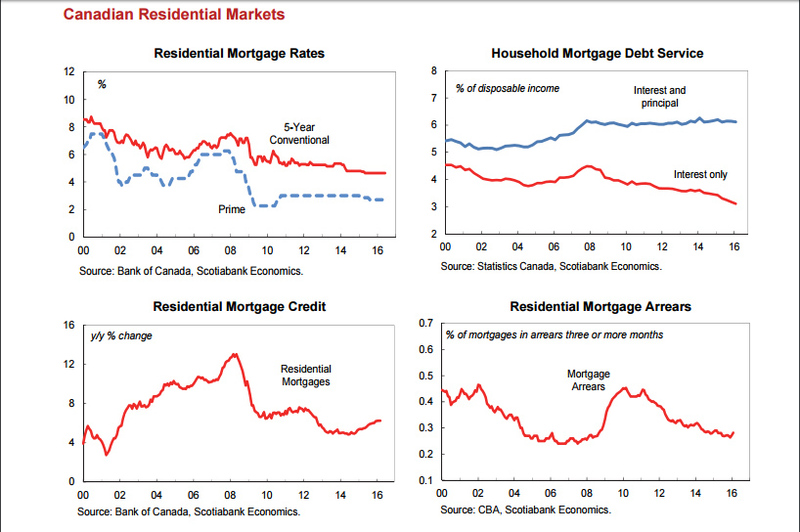 So you can see, the Government of Canada is making some radical moves to slow the real estate market in this country. Short of raising interest rates, they are doing everything they can to slow the market, with intent to dampen the price rises in primary cities such as Toronto and Vancouver. It remains to be seen how effective these strategies will be, but we watch them with interest going forward. 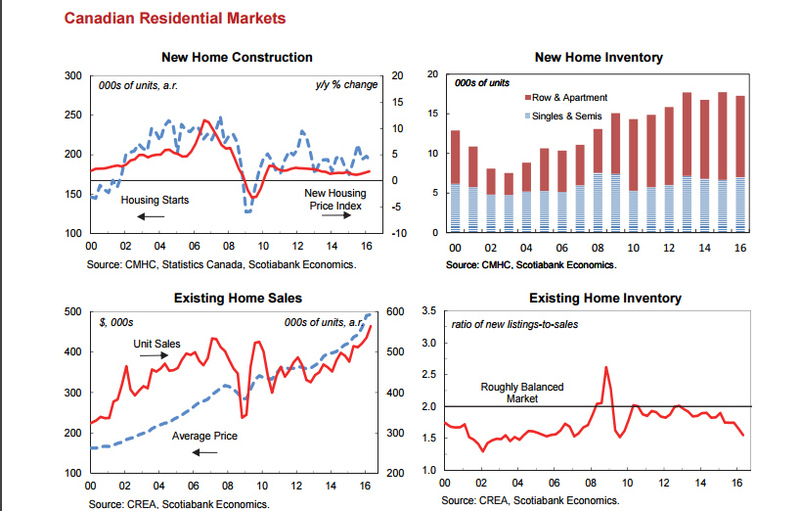 New home construction activity in Canada continues to be one of the healthiest components of the national economy. 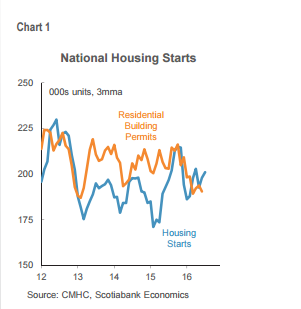 Housing starts have defied predictions of a soft landing, and national housing starts throughout the first seven months of the year have trended around 200,000 annual units (chart 1). The trend in building permits is only modestly lower at 190,000 units, pointing to continued strong activity over the remainder of the year. Housing starts are now expected to total approximately 195,000 units this year, very similar numbers to 2015. As with virtually all national economic indicators, there is a big and obvious regional divide in residential construction. 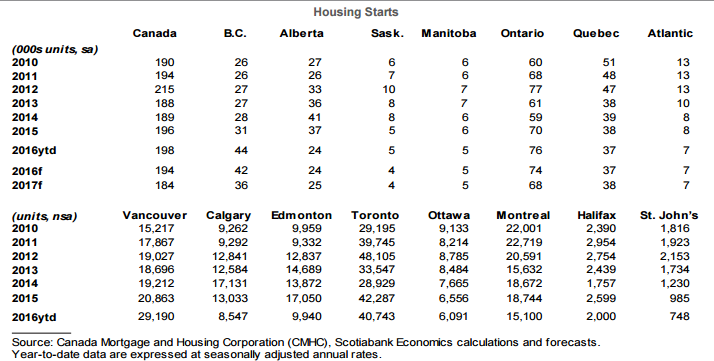 British Columbia is the strongest province, with housing starts averaging a record-setting 44,000 annualized units this year, a 40% jump over 2015. 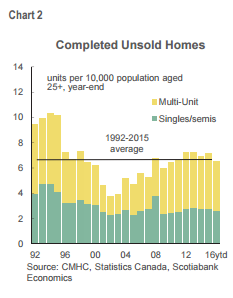 While led by multi-unit construction (both condos and purpose-built rentals), single-family home construction also has picked up. B.C.’s residential construction boom extends beyond Vancouver and the Lower Mainland into other parts of the province, including Kelowna and Victoria. As of the date of this article, full impact of the new offshore resident tax, which was announced on July 25, has not yet been assessed. Multi- and single-family construction also has picked up pace in Ontario this year. However, at an annualized 76,000 units year-to-date, the overall level of housing starts remains shy of a record. Activity remains extremely strong in Toronto, but a considerable amount of momentum has shifted to lower priced localities, including Hamilton, St. Catharines, Kitchener, Guelph, and London. Construction activity in Alberta is showing early signs of stabilizing, although at levels well below historic averages. Provincial starts have totaled just 24,000 annualized units year-to-date, their lowest level since 2009, with notable pullbacks in both Calgary and Edmonton. Activity in most other parts of the country remains relatively steady. 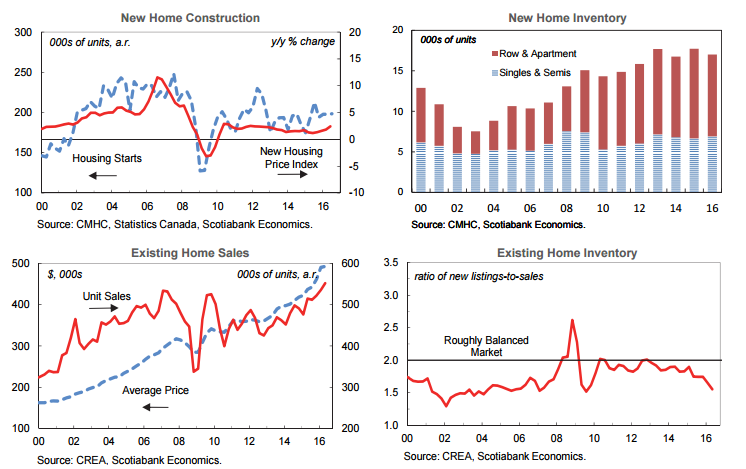 There are signs of overbuilding in a few provincial markets, notably in Alberta, Saskatchewan and Newfoundland where home sales have slowed. For the most part, however, there is little evidence of any serious inventory problems. should continue to support housing demand and residential construction in B.C. and Ontario. inter-provincial population outflows, increased housing supply and a soft pricing environment weigh against a near-term recovery in Alberta, notwithstanding rebuilding activity related to the devastating May wildfires in the Fort McMurray area. Continued low interest rates are driving the key global housing markets, in spite of relatively sluggish economic growth and heightened financial market volatility. The IMF has estimated that roughly three-quarters of global real estate markets are experiencing rising house prices. Strength in general has been predominantly in first world countries compared with emerging markets, though gains are being seen across all regions. Two notable exceptions are Brazil and Russia, where deep local recessions, rising unemployment and high interest rates continue to put significant downward pressure on housing demand and prices. Canada, Australia, Sweden and the U.K. are among the top performing residential markets internationally. The continued and ongoing rapid pace of house price appreciation has prompted authorities to further tighten mortgage lending rules. This includes increased down payment requirements (Canada), higher investor lending rates (Australia), stricter mortgage standards (Sweden) and new taxes on second homes and rental properties (U.K.). U.S. house prices continue to trend up amid strengthening sales and tight inventory. Solid fundamentals — pent up demand, a robust job market and rising household formation — should extend the recovery even in the face of moderately higher borrowing costs. Affordability is still acceptable in most countries surveyed, with average prices still about 20% below the 2008 pre-crisis peak adjusted for inflation, and the U.S. Federal Reserve engineering only a gradual firming in policy. Housing markets also are gradually firming in the euro zone. Average inflation-adjusted house prices across the region edged up 2% over the past year, a modest but defining turning point after several years of decline. However, conditions remain uneven, with strengthening labor markets supporting solid price gains in some member countries, notably Ireland, Spain and Germany, while other markets, including France and Italy, continue to languish alongside a weaker economic recovery. 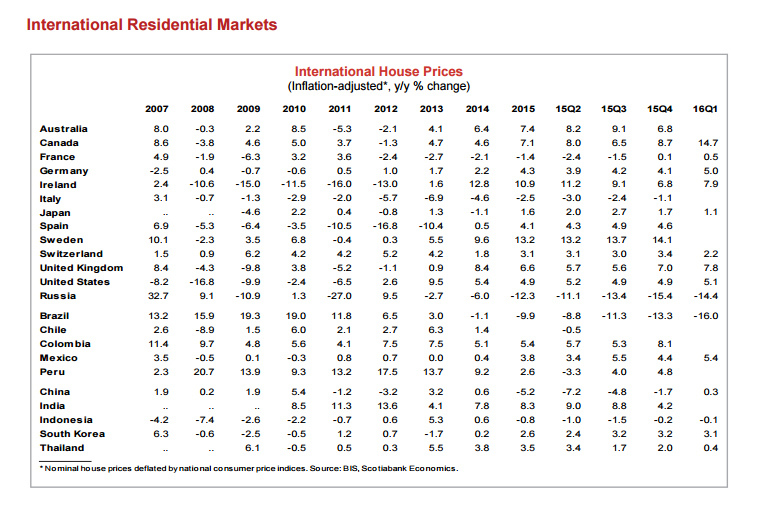 The majority of property markets in Latin America and Asia are showing moderate activity and price growth. China’s housing recovery is broadening, with roughly two-thirds of major centers reporting annual price growth through April. However, authorities face a tough policy balancing act in their attempt to cool skyrocketing prices in top-tier cities while at the same time support the nascent recovery in oversupplied smaller centers. Foreign capital inflows also are contributing to the recovery in global property markets, as investors search for geographical and asset diversification, and higher potential returns. 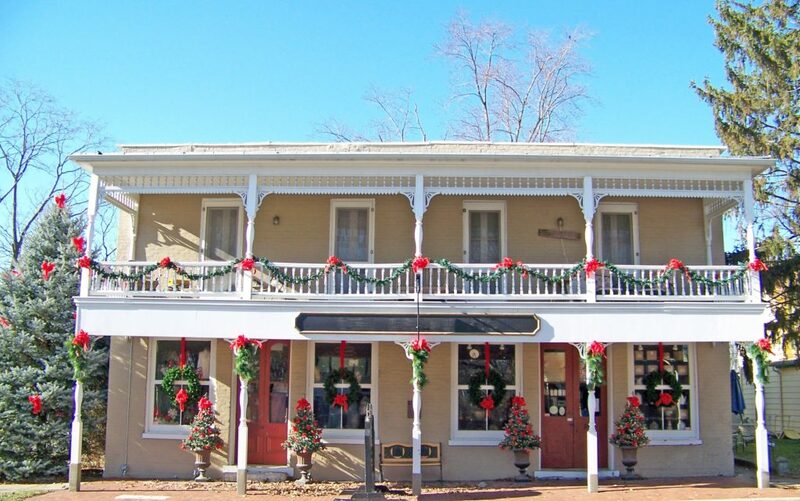 This extends not just into residential real estate, but commercial properties and agricultural lands as well. A large share of these flows has been destined to the luxury property market in top-tier cities. Global real estate market sentiment remains vulnerable to shifts in the economic and financial climate. Sales of high-end luxury properties have cooled in a number of large markets over the past year, including New York, Hong Kong and London. The softening in demand mirrors the economic slowdowns in China and the Middle East, and deep recessions in Russia and Brazil, all key source markets of luxury foreign buyers. Affordability also is taking on added importance, with relatively lower prices and favorable exchange rate conversions benefiting some second-tier cities, including in Canada, Australia and the euro zone. Buying a new highrise condo can be one of the most exhilarating things that anyone can do. Nothing can top the excitement of watching it get built – first with excavation of the parking areas, then the steady climb where the podium and tower are built. Finally the day comes – you are advised of a final occupancy date, and you are scheduled to do the pre-delivery inspection. So what it this? New condo buyers conduct a pre-delivery inspection (PDI) of their new unit, accompanied by a representative of the builder, before they take possession. The builder is accompanies you through the inspection, and is there to answer any questions you may have, to make note of any deficiencies in your unit, and to demonstrate the various operating systems in the unit. 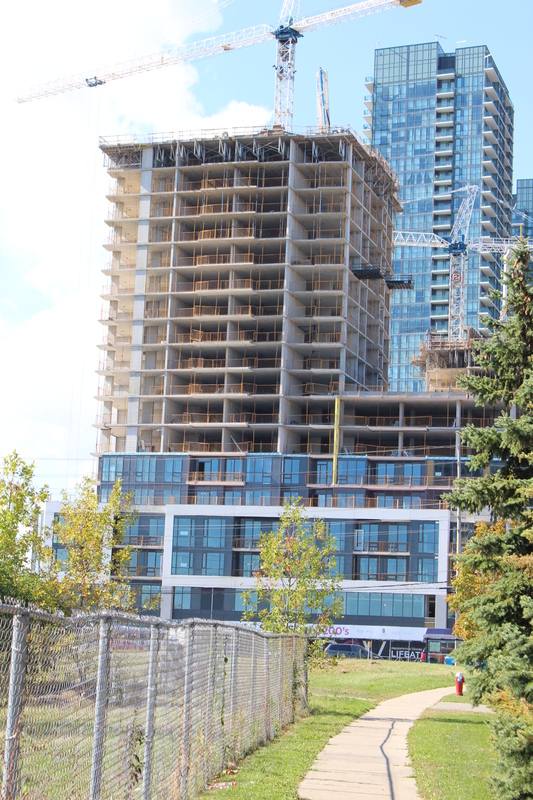 The PDI is a very important part of the new condo home buying process, as it is the last time you have to address any omissions or deficiencies that may have occurred during construction. All types of new construction in the province of Ontario are overseen by TARION, which provides certain warranties to protect the consumer, and you can find an extensive PDI checklist on their website. Here is also a short video on the subject, after which you can find our own checklist that applies strictly to condos. Are there any dents or scratches in the walls, floor, ceiling? Are there any nails or screws sticking out of the walls? Were all of the lighting fixtures installed properly? Are all the light switches in working order? does the faucet run both hot & cold water? do all the cupboards & drawers open & close properly? were all the upgrades and options you selected installed? are all the kitchen appliances in good working order, are there any scratches or dents? are the faucets working properly – both hot & cold water? does the tub drain properly? are there any cracks or chips on the toilet? does the toilet flush properly, and is it sealed properly to the floor? is the bathroom fan working properly? are the towel racks properly secured? Are the balcony railings secure? Is the balcony floor properly graded so that water will drain from it? If you combine this checklist with the one on the TARION website, you will be sure to have a good understanding of the PDI process. If you notice any problems during the inspection, make sure that the builder acknowledges and commits in writing, to fixing each problem. Once the PDI is completed and you’ve taken possession, you have only 30 days to report any other issues. After 30 days, the builder is no longer responsible for any problems that you may find. The local Canadian real estate market for 2015 performed exceedingly well, and ended up being the second best year in history. We review the City of Mississauga, a large and diverse suburb of some 760,000 people, located just west of Toronto, and provide a forecast for 2016. Mississauga is a relatively new area abutting the western edge of Toronto. The City of Mississauga was in fact only created in the 1970’s, when several small villages were incorporated into a new amalgamation. Since that time, Mississauga has grown tremendously, and has become a magnet for people from all over the world, due to its attractive lifestyle, dynamic economy, and welcoming diversity. The real estate market has mirrored that success. During 2015, the market rose 9.5% in prices for freehold properties – i.e. 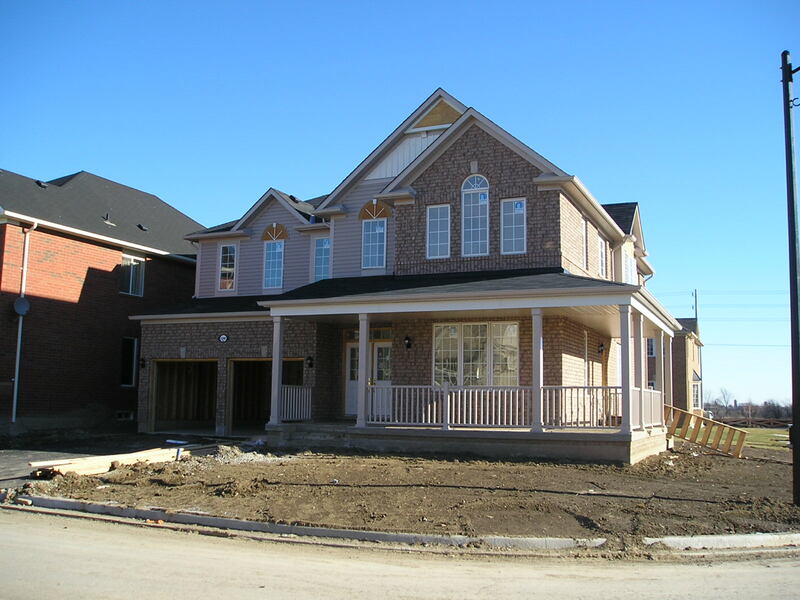 detached properties, semi-detached homes, and freehold townhomes. The condo market, specifically centered around the Square One shopping mall in Mississauga, showed a 6.5% percent increase, still a very substantial rise when you take into account the flood of new condo construction in the area. There is reason to believe that the three pillars that he talks about are as good an explanation as any, when attempting to understand the strength in the local market. What began as a cyclical bull market in 1996, has surpassed even the most positive market predictions of industry observers, as the real estate market goes from strength to strength. Canada seems to be a magnet for immigration, in spite of its climate, and local real estate markets have benefited from that popularity. Local pundits, having watched the dust settle on 2015, are looking ahead, and they like what they see. The Toronto Real Estate Board has published, for the first time, a comprehensive review of 2015 market activity, with an outlook for 2016, covering all aspects of the GTA (Greater Toronto Area) real estate market. Watch John DiMichele, president of TREB, as he explains the inaugural Market Year in Review & Outlook report. There is a lot of data available in their publication, with forecasts for everything from suburban resale homes, to downtown condos. Two versions exist, one for realtors, and one for the public. Both were released on January 18, 2016. – between 96,500 and 105, 000 home sales are expected to be reported through TREB’s MLS system in 2016. You can access the full report in PDF format, by clicking here. 2015. The June sales numbers reported represent a new record for the month of June for any year, and an 18.4 per cent increase over results in June, 2014. The Greater Toronto area continues its strong economic growth with several factors contributing to a robust market in the many diverse local economic, ethnic and cultural bases that exist here. The GTA continues to receive worldwide acclaim as one of the best places to live and do business. As the population continues to grow, many people are taking advantage of the options that exist for home ownership in the area. June sales prices were up strongly on a year over year basis in June, for all categories of housing types. The TREB MLS Home Price Benchmark increased by 8.9% per cent compared to June 2014. The average sale price increased by 12.3% per cent over the same period to$639,184. higher yearly rate than the MLS Composite Benchmark. 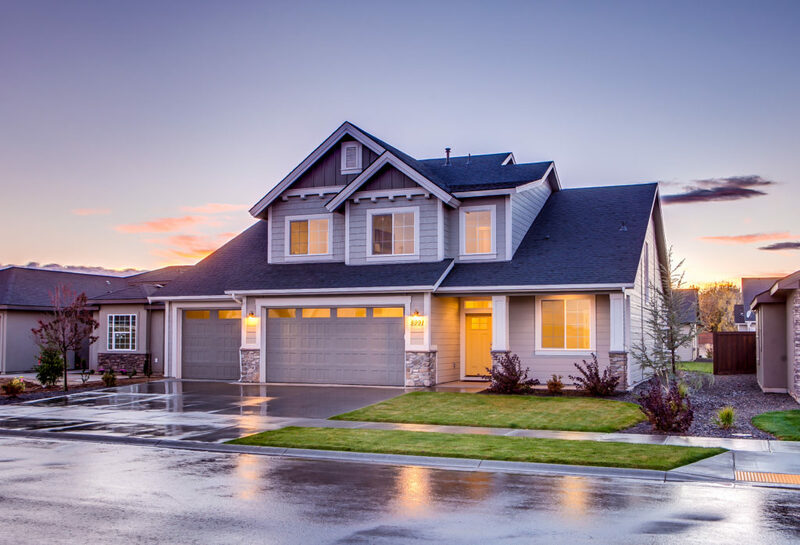 New listings edged upward a bit during 2015, as homeowners took notice of the incredibly strong growth in real estate prices, and are beginning to take advantage of large equity increases in their homes. Nevertheless, the June sales show that the yearly rate of sales growth continues to far exceed the overall growth in listings, meaning that there is still an imbalance with many willing and able buyers in the market who will continue to have difficulties finding a home that suits their preferences. As long as this imbalance in supply and demand continues, house prices will continue to edge ever higher. Local Toronto area real estate market records were shattered when the Toronto Real Estate Board reported 11,706 sales in the month of May, 2015, for sales activity processed through the TREB MLS system. Total sales were up by 6.3% percent compared with the 11,013 sales that were reported in May, 2014. The Toronto real estate market as a whole showed sales increases for all types of residential housing. There was a decrease in sales of detached homes reported in the city of Toronto, but this was more as a result of a shortage of listings, than anything else. 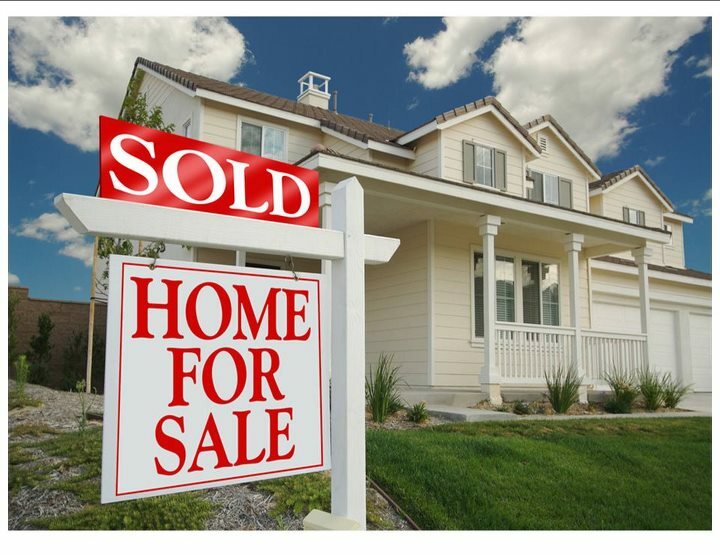 The record number of transactions in May, combined with a shortage in the number of homes available for sale, resulted in large price increases in all areas of the market. The Home Price Index (HPI) Composite Benchmark, a key metric that the real estate board follows, was up by 8.9% percent compared to May, 2014. The average selling price for all types of homes in May, 2015 showed an increase of 11% percent over the previous year, reaching $649,599. There was a shift to higher priced, higher end homes, which further boosted average selling price. Extremely tight market conditions, with detached homes, semi-detached homes, and both freehold and condominium townhomes showing the highest demand, resulted in surging prices throughout the Greater Toronto Area. No matter what part of the Toronto area, listings remained in short supply, and in the suburbs such as Mississauga, Brampton, and Oakville, there were bidding wars on many listings. We predict that this frenetic real estate market activity will continue throughout the rest of 2015, barring any unforeseen shocks to interest rates or the economy in general. With more buyers than sellers in every housing type and price point, it would take several months of increased listings and fewer sales, to create a more balanced real estate market. Until that time, it seems the only way for real estate is up. 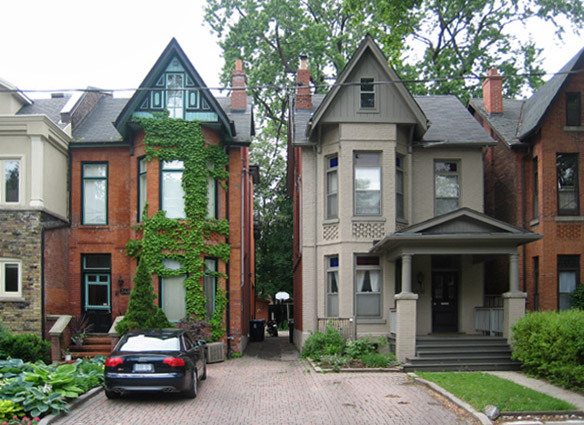 The Toronto Real Estate Board reported 11,303 real estate sales in April 2015. This was the highest sales result on record for the month of April and represented a 17 per cent increase in comparison to April, 2014. While sales increased strongly on a year over year basis, new MLS listings were up over the same period by a more modest five per cent. The record results for real estate sales in April clearly illustrate that a burgeoning number of Toronto area families view home ownership as a priority, high quality long-term investment. This is evidenced by the strong sales growth experienced here in Toronto and the surrounding regions for all major types of housing. First time buyers and existing homeowners remain very active in today’s market. The overall average selling price, which is a total combined number for all real estate sale for all types of homes reported sold by Toronto area real estate agents in April 2015, was up by 10 per cent year over year to $635,932. The MLS® Home Price Index (HPI) composite benchmark, which estimates the price of a benchmark home with the same attributes from one period to the next, was up by 8.4 per cent during the same timeframe. The fact that average price growth outpaced growth for the MLS® HPI Composite Benchmark, suggests that a greater share of higher priced homes changed hands this year compared to last. No matter which indicator used, price growth in the Greater Toronto Area was strongest for low-rise home types. However, the better supplied highrise condo segment remained healthy as well, with price growth above the rate of inflation. Demand for home ownership was extremely high compared with the number of homes available for sale in April. The market is not expected to change much as we move through the balance of the year. Until there is a sustained period during which listings grow at a faster pace than sales, annual rates of housing price growth will remain robust.